With a plethora of features ranging from a sleek, lightweight frame to a high-definition screen, the ASUS Zenbook UX330UA-AH54 is more than capable of meeting the needs of most consumers. The compact notebook measures 8.7 by 12.7 by 0.5 inches (22.1 by 32.26 by 1.27 cm) and weighs only 2.6 pounds (1.18 Kgs). 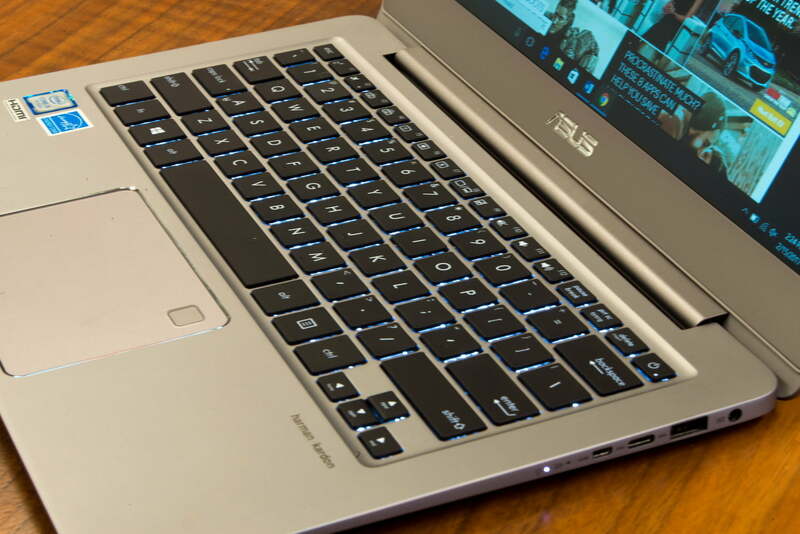 Sporting an aluminum exterior with a "quartz grey" color, this Zenbook model is both aesthetically pleasing and easy to carry around on the go. With Windows 10 preinstalled, the notebook model is optimal for users seeking a mid-range platform for business and personal purposes. It's capable of seamlessly handling a variety of applications, including popular graphic design software and high-definition videos. * 13.3-Inch wide-view Full-HD Display. * 256GB SSD with 8GB DDR3 RAM. * Multiple connectivity options with HDMI/D-SUB/USB Type C, 802.11a/c WiFi, and SD Card Reader. * Sleek and light weight body for portability. 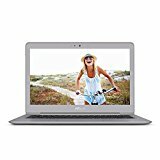 The notebook is equipped with an Intel Core i5-7200U, which was launched as part of the Kaby Lake family of seventh-generation processors in 2016. This mobile processor has two cores, but can handle four threads. While its base frequency is 2.50 GHz, the unit includes Intel's Turbo Boost technology, which allows it to reach 3.10 GHz under high loads. In Passmark CPU benchmark testing, the Zenbook's i5-7200U has a score of 4,713, placing it in the middle between an i5-5200U and an i7-6700HQ. The unit comes with an Intel HD 620 Integrated Graphics Card, which runs at a speed of 300 MHz. The integrated graphics are powerful enough to run full high-definition video on the Zenbook's impressive screen, which measures 13.3 inches wide and has a resolution of 1920 by 1080 pixels. Though powerful, this processor is a mid-range Intel unit and should not be expected to run high-intensity 3D games, as it is not capable of maintaining desirable frame rates. It will, however, provide more than enough power for most other applications. A suite of additional built-in features provided by Intel also enable further functionality in the form of virtual machines and security protocols. When it comes to boot-up speed, the Zenbook conforms to modern expectations of rapid responsiveness. 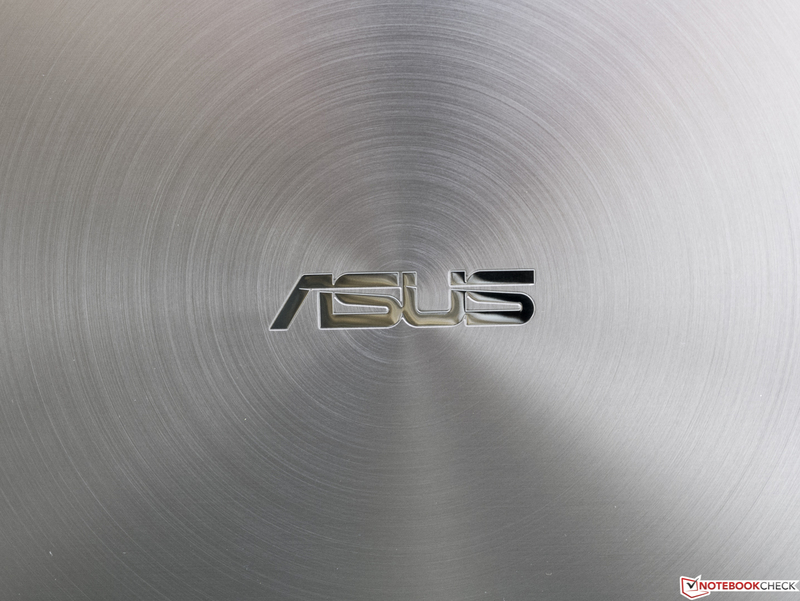 ASUS has installed a solid-state drive (SSD) with 256GB of space in the Zenbook, which allows users to quickly dive into their work or entertainment shortly after turning the unit on. The 256GB SSD can store roughly over 77,000 songs or 340 movies, giving the common user a decent amount of space for files. Overall. in tandem with the mid-range Intel processor and 8GB of DDR3 SDRAM in the Zenbook, the SSD provides an operating environment that can handle a variety of intensive tasks. 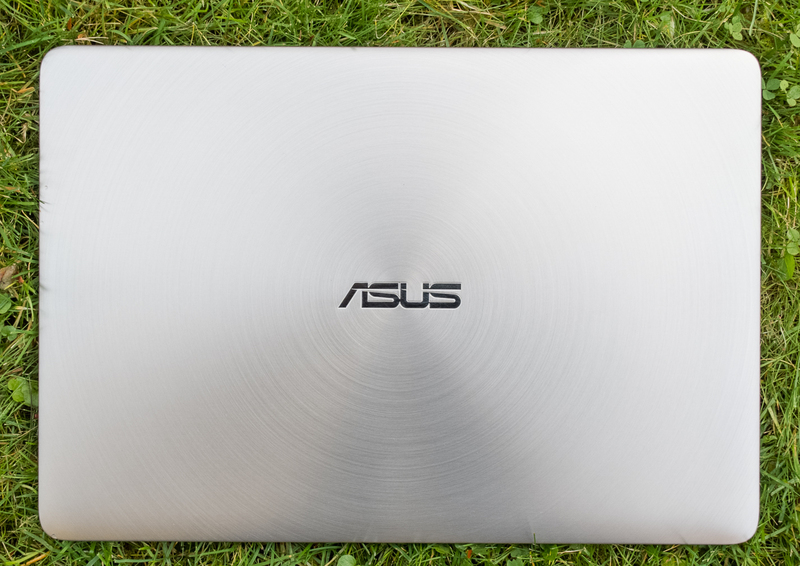 Though not rated for gaming, ASUS has specifically designed this notebook to handle professional programs that require a little more juice than the common application. Users can expect the system to provide largely seamless performance when navigating files in Windows 10, playing videos or working on projects in programs like Adobe Photoshop and similar applications. 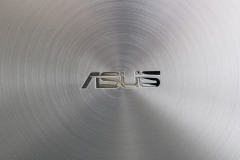 Since having enough USB ports for a variety of different peripheral devices is important, the ASUS Zenbook features three USB 3.0 ports and one USB 3.1 Type C port. The smaller USB 3.1 Type C port is a newer format that is supposed to eventually replace older USB types, and provides much faster data transfer rates. 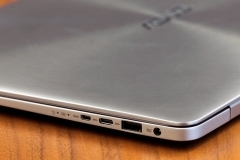 The consumer should take special note of its ability to interface with external laptop docks, which can be used to connect various devices at once to a notebook. In addition to the modern USB ports, the Zenbook UX330UA-AH54 comes equipped with a standard 802.11ac Wireless card and can provide LAN speeds of 10/100/1000Mbps. Bluetooth-enabled devices can also interact with the Zenbook through the preinstalled Bluetooth 4.1. 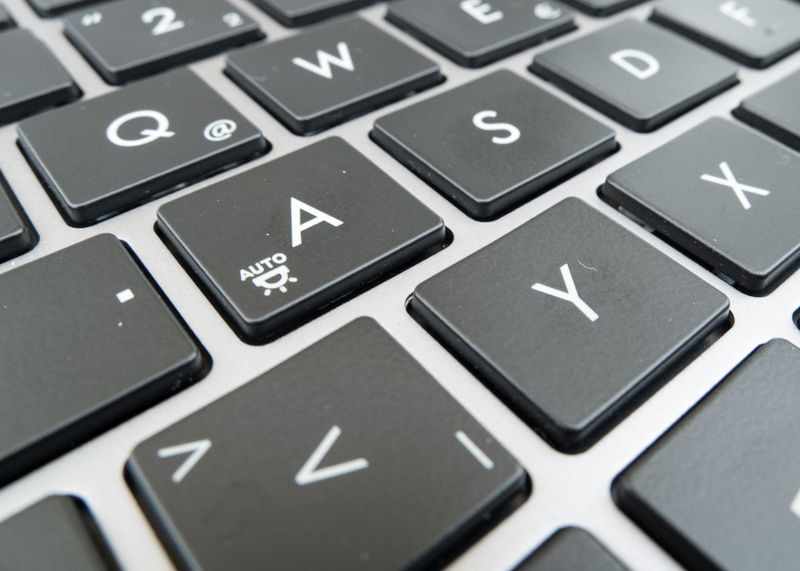 The Zenbook also sports a comfortable, backlit keyboard with ample room on each side of the frame and a palm rest for resting the hands during use. 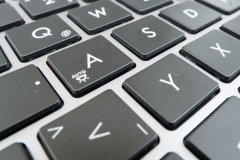 Measuring 4.1 by 2.9 inches (10.4 by 7.37 cm), a silver, glass-covered touchpad rests below the keyboard for smooth, touchscreen-like navigation. For those seeking to engage in video conferencing or Skyping, the Zenbook provides an HD 720p webcam directly above the screen. One of the most impressive features of the Zenbook UX330UA-AH54 is its long battery life. The notebook can usually run throughout the day without charging - with some power left to spare - even when running some demanding programs. As it's sometimes critical to be able to use a notebook on the go without constantly worrying about a lack of power, the Zenbook proves itself to be highly useful in this regard. The cooling system is equally impressive, as it keeps the unit from causing any discomfort to the user. Whereas other notebooks are notorious for getting excessively hot, the Zenbook's well-designed cooling system maintains a stable temperature for comfortable continuous use. The consistent cooling and long battery life makes the slim notebook ideal for those seeking to use it on the go for long periods of time. 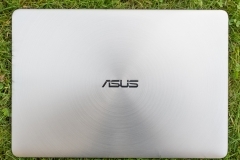 Having kept portability and power in mind, ASUS has provided consumers with a reliable mobile workhorse in the form of the Zenbook UX330UA-AH54. While models like the ASUS P-Series or the Acer Aspire laptop units provide comparable specifications, they fall short of reaching the potential of this Zenbook. The ASUS P-Series P254OUA-AB51 laptop comes with a slower spinning hard drive, which provides more space for storage but is not as responsive as the Zenbook's SSD. The Acer Aspire E-15 E5-575-33BM is a similarly classed notebook, but provides less SDRAM and has a weaker processor. Another unit that comes close is the Dell Inspiron 15 5000, which provides much of the same processing power as the UX330UA-AH54 but is not as slim or as ergonomic. 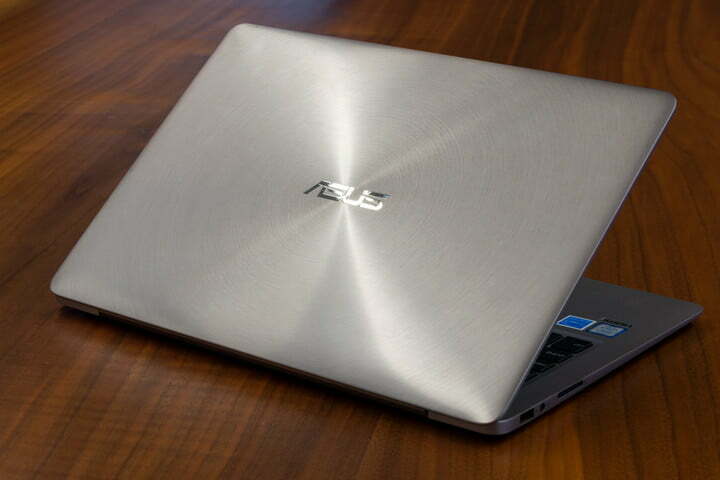 In terms of pricing relative to power and convenience of day-to-day use, the ASUS Zenbook UX330UA-AH54 is a solid choice for consumers seeking a mid-range notebook.